Ghosts and ghost stories are a long-established Christmas tradition. In A Christmas Carol Charles Dickens has miserly Ebenezer Scrooge encountering Yuletide spirits past, present and future. But ghosts are not confined to dry land – spectral vessels and their crew ceaselessly roam Neptune’s Realm. And it’s not just under the cloak of darkness that such maritime wanderers have been spotted. Are there too many sightings to just dismiss them out of hand as superstition or delusion? I wouldn’t like to put money on it either way. Probably the most famous ghost ship is the ‘Flying Dutchman’. A certain Captain Hendrik Vanderdecken was sailing around the Cape of Good Hope heading for his destination of Amsterdam. 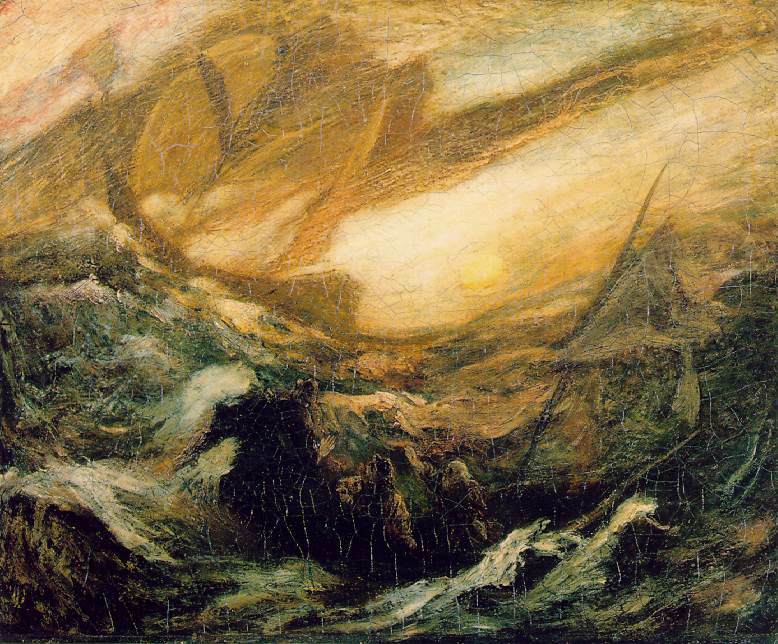 A terrible storm arose and Vanderdecken refused to turn the ship back despite desperate pleas from the crew who grew more and more anxious for their lives. Their captain ignored them, raged and blasphemed at the tempest and began drinking heavily. In despair, several of the crew mutinied. Vanderdecken shot the lead mutineer and threw his body overboard. Then the clouds parted and a celestial figure descended on to the deck chastising him for his action. Vanderdecken made aim to fire at it but the pistol exploded in his hand. It did not end there. According to Admiral Karl Doenitz, U Boat crews logged sightings of the Flying Dutchman on their tours of duty. Young Teazer (no relation) is a ghost ship which blazes, explodes and then vanishes around the coast of Nova Scotia. Usually seen at sunset or moonset her appearance is a darkling forerunner of storms. The original Teazer was an American privateer schooner under command of Frederick Johnson preying on sea trade of the British empire off the coast of Halifax. She was a fast vessel and took many prizes. Eventually she was captured and destroyed by the Royal Navy. The seamen were imprisoned and her officers paroled awaiting prisoner exchange. As part of the parole the officers gave their word that they would not take part in privateering again. Johnson violated this and set sail in Teazer’s successor, Young Teazer. She was chased by three British naval ships and trapped in Mahone Bay, west of Halifax. It was 27 June, 1813. Boarding parties were mustered but before they could reach her the ship exploded in a wall of flame. Preferring death to capture Johnson has put a firebrand to the magazine powder. Only a handful of the crew survived. Soon after the tragic event, there were eye witness reports that Young Teazer had reemerged from the depths as a fiery spectral ship. 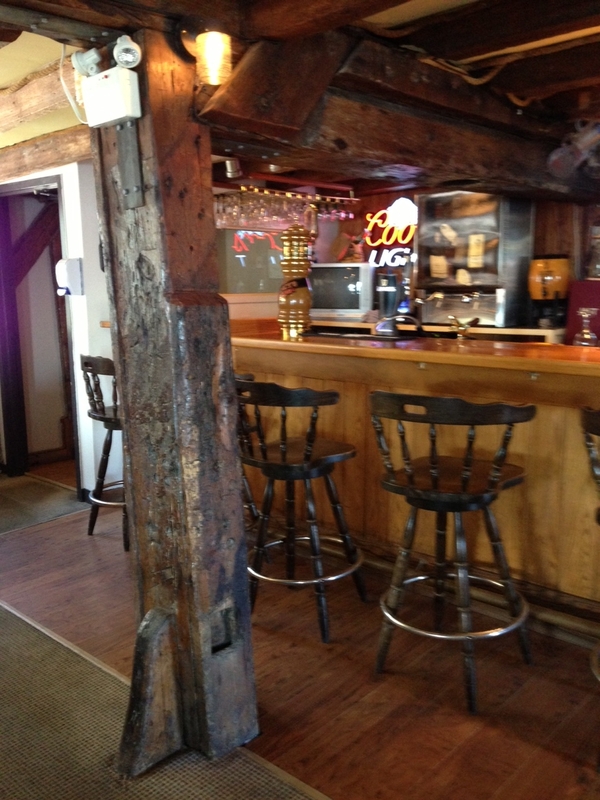 The following year, on June 27, inhabitants of Mahone Bay were startled to see an apparition sailing into the same water where Young Teazer had been destroyed. As it came nearer they recognised it as the privateer, and then it vanished in a huge puff of flame and smoke. This ghost ship appears at fifty-year intervals. On February 13, 1748, the schooner Lady Lovibond was on her way from London to Oporto in Portugal carrying a load of general cargo – and a wedding party. The groom was the skipper, Simon Reed, and he was accompanied by his new bride Annette and their guests. The first mate John Rivers had long been in love with the captain’s wife and in a fit of jealousy, so the story goes, smashed in the skull of the helmsman with a belaying pin and then turned the ship into the notorious Goodwin Sands, graveyard to hundreds of ships over the centuries. The wedding party below was having too much fun to notice the change in course until it was too late and they all perished. By the next day the infamous Sands had swallowed up the ship and all souls in her. Fifty years later to the day, two ships witnessed a phantom Lady Lovibond sailing in the vicinity of the Goodwin Sands, then disappearing. Further sightings were recorded, with sounds of female voices coming from below deck, always at fifty year intervals. If you want to experience Lady Lovibond you’ll have to wait until February 13, 2048! Want to read more briny beliefs and superstitions? 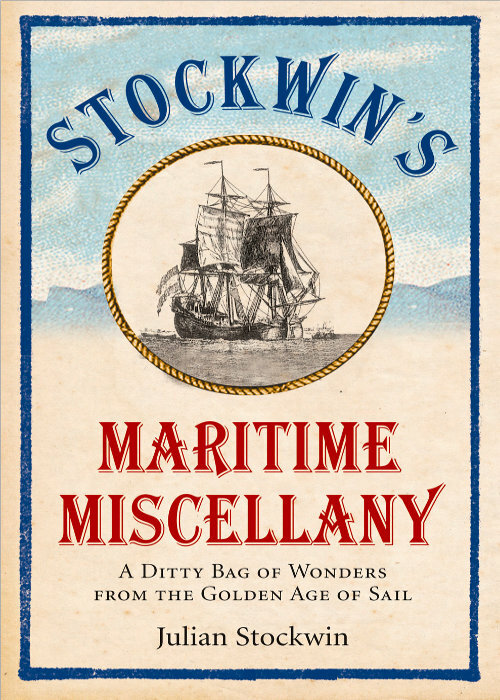 I have a copy of STOCKWIN’S MARITIME MISCELLANY up for grabs. Just add a comment below to go into the hat! If a ship were of hard and properly treated wood and sank upright in an area devoid of sufficient oxygen, such as places in the Chesapeake Bay, then some seismic undersea event such as a volcano or earthquake might cause her to pop to the surface, be seen, and sink again. Maybe. Fascinating post! I’d heard of the Flying Dutchman, but not the others. Now I want to learn more! Maritime Miscellany is starting to sound reeeaaly interesting. What an interesting post – I’d never delved into the origins of the Flying Dutchman before, nor come across those other stories before. Re Doug Ward’s comment above, your readers might be interested to hear about the new fundraising CD made by The Fishwives Chorus, singing “Eternal Father” and “Dance to your Daddy”, raising money for the Fishermen’s Mission, which helps the families of those lost at sea – still a tragically common occurence today. I blogged about it here: http://youngbyname.me/2013/10/16/a-tribute-to-the-fishwives-choir/ We should always respect and fear the sea. Sailors have a reputation of being superstitious and justifiably so. As a young ordinary seaman I was asleep at night on the upperdeck, stbd side aft, of an old destroyer in the tropics and as we turned sharply to port a wave broke over the weatherdeck. Half awake I felt water all around me and it was if something reached into my sleeping bag and pulled my arms out. I grabbed hold of the lower guardrail as I was being swept overboard just for’d of the props. Something saved my life that night. It is interesting to read off these Ghost Ship stories , as we get older the younger generation do not seem to be interested and if it wasn’t for you sending these blogs we wouldn’t remember them . Whenever I thing about losses at sea, I think of the first stanza of the hymn Eternal Father. It goes like this: Eternal Father strong to save, who’s arms doth bound the restless wave, who bids the mighty ocean deep, it’s own appointed limits keep. Oh hear us when we pray to pray to thee for those in peril on the sea. Having spent 22 years out there, I think especially of the 52 WWII submarines “still on patrol” and the crews of USS Thresher and USS Scorpion. Don’t know if the various ball-lightning episodes on ships masts and rigging qualifies for ghost stories, but in aviation, there is the “foo” balls seen on wingtips during WW 2.